Troublesome news from Japan this week where GDP contracted 6.8% in the second quarter. Consumption was down 19.2% and private investment was down 9.7%. This was widely expected due to the implementation of the consumption tax hike to 8% in April. Consumption within Japan was pulled forward in the first quarter as consumers locked in purchases ahead of the tax increase. 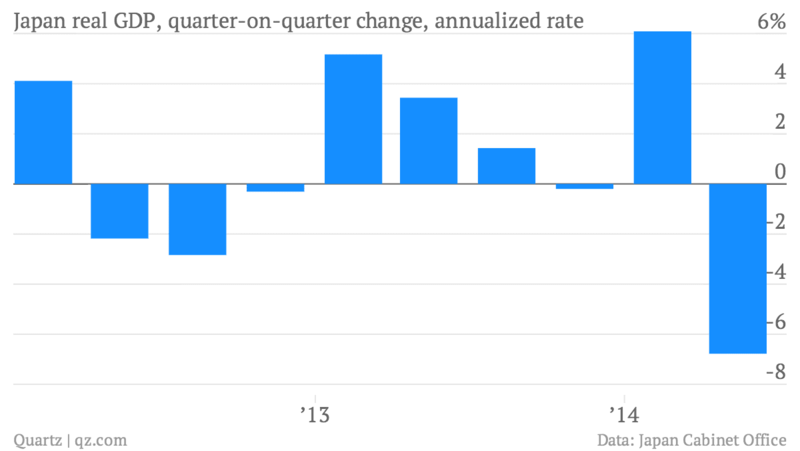 This boosted Q1 GDP and rocked Q2 GDP (see graph above). 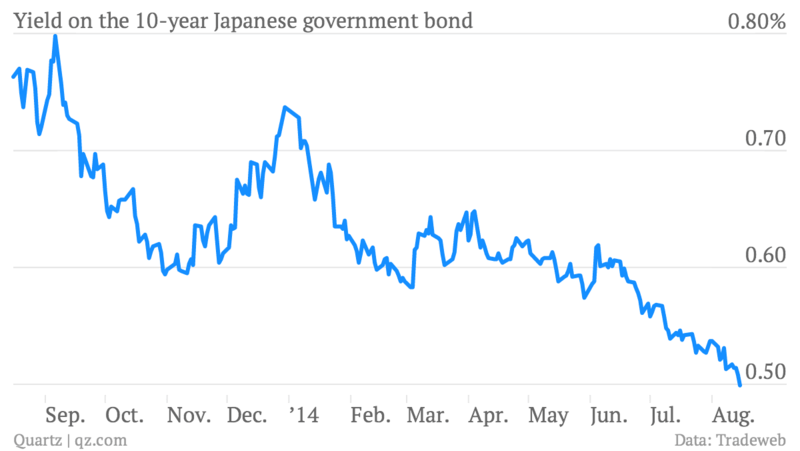 As with most developed countries around the world, the yields on government bonds in Japan currently have no basis in reality. Total Japanese debt just crossed 1.038 quadrillion yen (quadrillion is the number after trillion), while yields are moving back toward all time record lows (bond prices rise when yields fall). Hopefully the word quadrillion should be enough to explain that these bonds can never possibly be paid back at full value and anyone purchasing a 10 year bond at 0.50% makes U.S. subprime mortgage bond buyers in 2007 look like a genius. The three largest banks in Japan are now offering adjustable rate mortgages starting at 0.77% (compared with a 1.3% 10 year fixed bonds). 42.8% of new mortgage lending in Japan during February (the most recent month of data) came in the form of adjustable rate loans. Beyond the bankruptcy of the government itself, the coming rise in interest rates in Japan will be a major headwind for real estate prices which have been in a steady downtrend for almost 24 years. 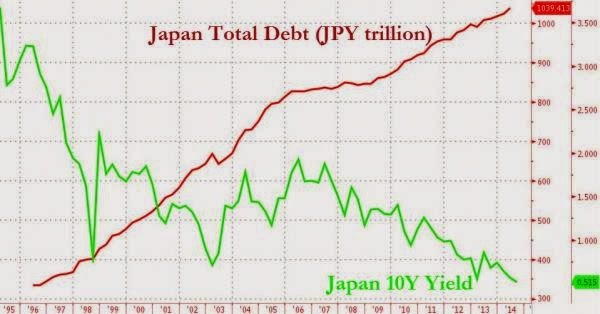 I believe the free fall coming in the Japanese yen or Japanese government bonds (or both simultaneously) is the most likely "black swan" event on the horizon for the global economy.